So… let´s go. 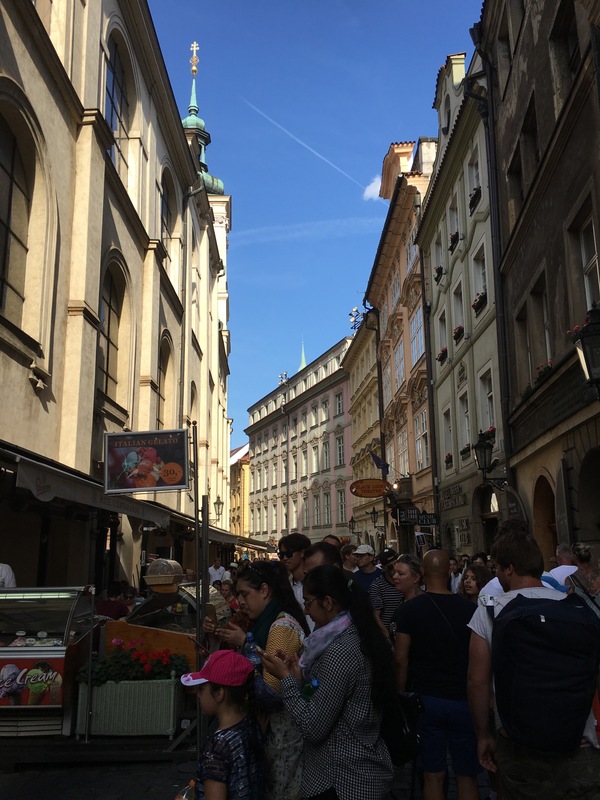 Our day two in Prague. It was a very hot day! Even hotter than the first day hence we decided to explore the department stores. There is nothing better, at temperatures of 36 degrees, to go shopping in a chilly place. We were in the Palladium, quite near namésti republiky. Yeah…and we spent a few hours in the shops at this place like Top Shop, Reserved, H&M, Mango, Calvin Klein, etc.. You can believe us, the moment we went through the door to go outside was the worst. Felt like the heat was killing us and as we walked in the heat we envied every passant with a mini fan. We walked further through the streets and arrived at a beautiful boulevard full of people. Do you know that situation when you choose your holiday destination and there are places or sights you definitely want to visit during your stay? We had planned to visit the Václavcké náměstí. 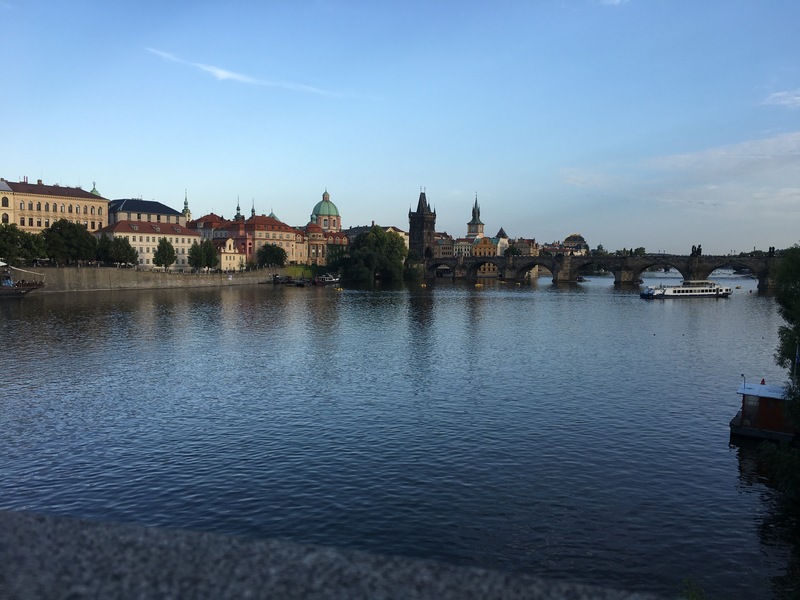 And we actually visited it even more than once as we later realized, because the moment we walked along the beautiful boulevard, we did not know that it was the Václavcké náměstí. That was super funny as we walked out the metro station(on our 4th day in prague) and realized we already went there but more of that later. After that we went to a park at the new town side called Kampa to just not to collapse. 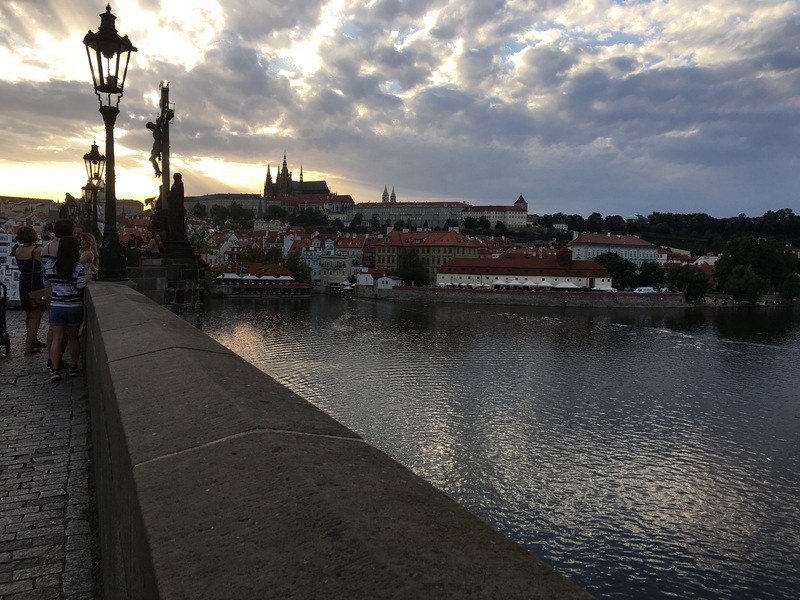 The park offers a great view all over the old town of Prague. 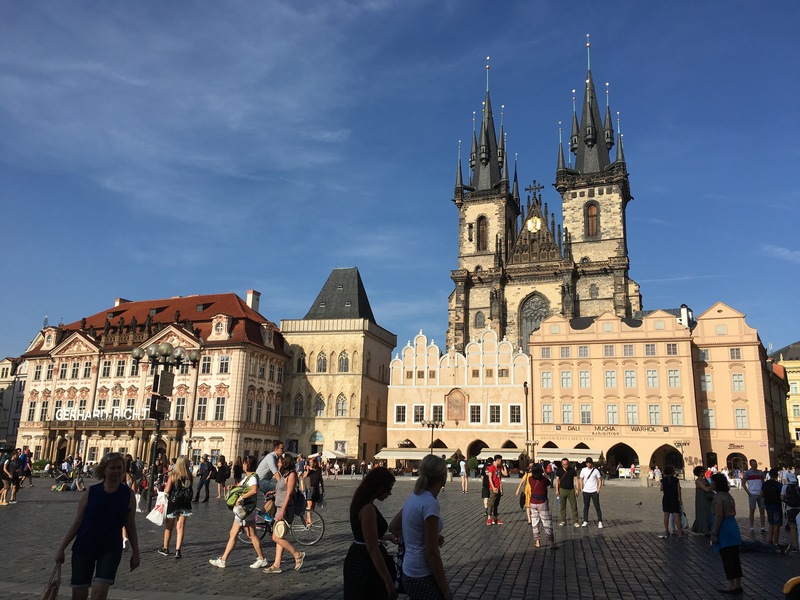 We really recommend Prague to you doesn’t matter where you go it is always entertaining to listen or watch the street musicians and street artists. After several surveys by a number of travel organizations and experts, it has been discovered that people have become more comfortable with sharing personal information like their location and travel history with travel companies in return for a more customized service. Let’s take a look at some of the various personalization efforts that are been adopted and used by various sectors and support services in the travel industry. New features used by some of the support services in the travel industry like the 2016 update of Uber’s app enables and ensures data from your journeys is collected and stored, this will help in learning from your routines and help predict where you will want to go next. Trips app in an effort to ensure the ease of planning and organizing your trips was also launched by Google in September 2016; it was designed to thoroughly search your G mail account for hotel bookings and flights, as well as propose itineraries and store your reservations. Several airlines have become more sophisticated with personalized offers by customizing the airline passengers user experience. However, when it comes to airlines, every aspect of personalization comes at a fee, especially for the “economy class VIP”. A survey conducted by Sabre in 2016 found that some consumers are willing to spend more to get extra air travel value such as fast-track security, preferred seating and enhanced meals. On the other hand, booking systems often remember the preferences of premium passengers and more often than not the flight crew know who they are. Personalizing an hotel guest’s stay is a major factor to creating a lasting experience. Several luxury hotels now store information on whether you have any dietary preferences, what newspaper you read, what floor you prefer, whether you like red wine or white wine better, if you prefer it sweet or savoury. At the point when any guest is booking their room, they are often asked a series a questions including the purpose of their visit, as this will help determine small but important details about them and enable the hotel create small gestures of customised recognition. Like all top hotels, staff will go out of their way to remember your name, as well as relevant facts about who you are and why you are in town so they can converse with you. A perfect example is when a guest books a room for a business trip but has to arrive late, the hotel makes sure his or her room is prepared for bedtime straight away and leave a tea amenity to aid in sleep and an energy bar for the next morning. Elle magazine’s beauty editor once arrived at the W St Petersburg to discover the hotel had incorporated the tag line of her own range of scented candles, her love of cats and shoes to create a more personalized effect. She posted a picture of it on social media and the reaction it garnered from people said it all. Some hotels have adopted the use of dynamic emails where every time you open one of their messages, a count down timer comes on and then when you open again the next day, the content could be different, however the hotel offers remain accurate and up to date. Thanks to digital innovation, Hilton HHonors app can be used to select your room and can serve as a digital key to access your room instead of the plastic one usually given at the reception. The digital key also allows you pin your favourite room and when next you stay at the hotel, you will find a little heart shape on the room floor. Hilton’s recent partnership with Google Maps also means you can now see special locations and pick your favourite room near the lake, a park or any other point of interest. You can also message the front desk, make restaurant reservations or request champagne on arrival. Skyscanner also foretells that hotel software will link with guests’ social media profiles so that when they book a particular room, everything is set specifically for them. Some hotels are already looking up VIP guests online and anticipating what they might appreciate when they get there. Do you believe hyper-personalization is the future of travel or do think this is doing too much? Mariam Barry is a lifestyle and travel blogger. 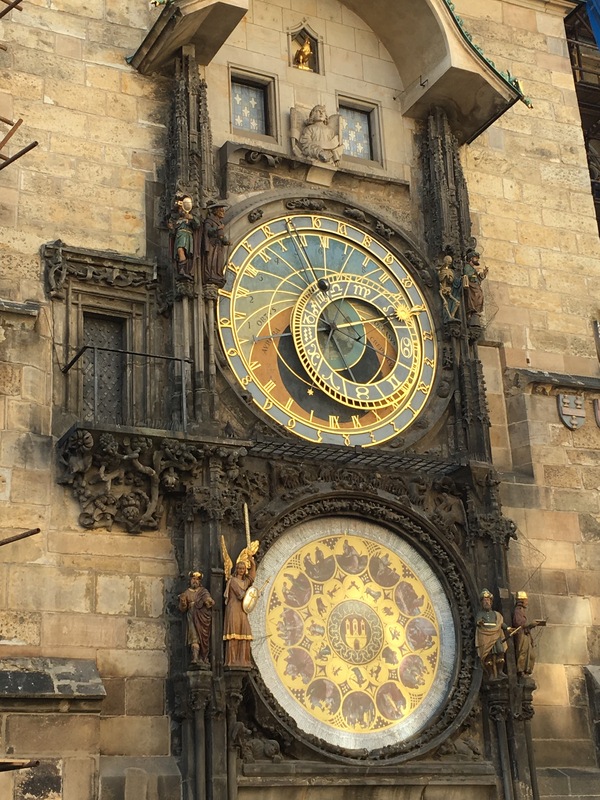 So in these posts we want to show and tell you our experiences in Prague. We decided to separate the posts in sights and our outfits we wore that day. We finally arrived in Prague and were pretty much impressed from the first look of the city! 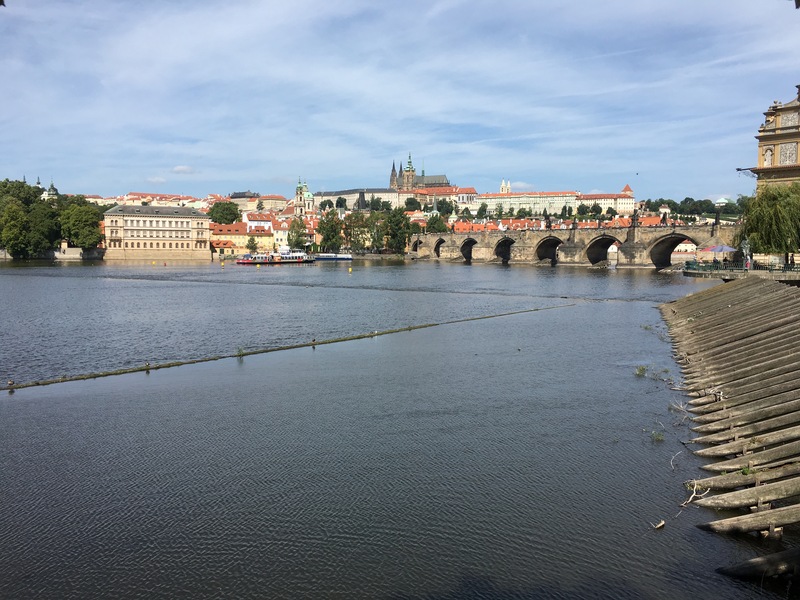 Unfortunately we had to carry our suitcases with us till check-in at 2pm so we went to the river Moldau, sat down in a park and watched the Charles Bridge and the Castle of Prague from far away. Let’s just tell you a funny story! Okay, so we went into a metro station and there were these “alarm systems” at the entrance and Mellis suitcase trigged an alarm. The officer forced her to open her suitcase right in the middle of the entrance. By the way there were a lot of people and of course they were starring at us. Melli followed his instructions. The officer opened his eyes wide and immediately said that she can close it again because the case was a mess of clothes, shoes, accessoires and many other stuff. After checking into the hotel we could finally enjoy the city without our heavy suitcases. We went to Staroměstské náměstí, Karlův most and strolled through a lot of streets in Prague till our feet hurted. FUN FACT! We walked 17,4 km that day! 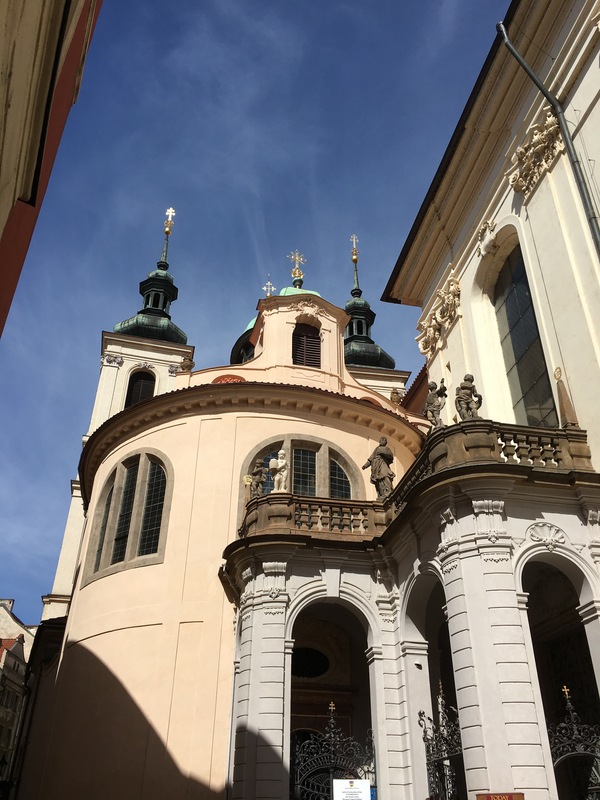 The old town of Prague is just breathtaking! We could not stop taking pictures of it. These cute little alleys and their tiny restaurants and cafes. Even tho it was really crowded it did not matter because the people are so nice and friendly there. Oh and it is super easy going by train/metro. Prague only got 3 lines in all directions but the stations are likely more far away like there is no station at every street. We never rushed into the wrong train. The metro is such a cool experience. It was pretty warm that day especially while carring our suitcases. The city heats up enormously and makes the day difficult for you but hey! better than rain. After this exhausting day we fell in our beds and slept at once pretty excited about what the next day in Prague offers. We will tell you that in our next posts. For now just enjoy these photos we took.